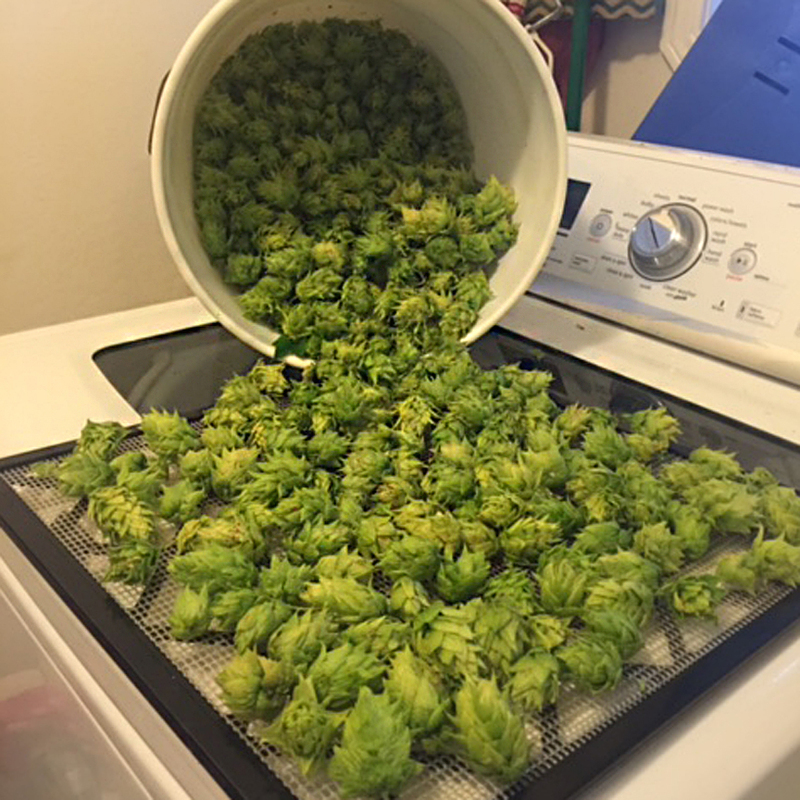 Beer hops for brewing, used primarily for flavoring, aromatics, and as a stability agent in beer, in the hands of a skilled brewer can impart a multitude of different flavors. Without beer hops for brewing, there would be no beer. Hops – a perennial, herbaceous, climbing plant – are the flowers or “seed cones” of the plant Humulus Lupulis. Beer hops for brewing, used primarily for flavoring, aromatics, and as a stability agent in beer, in the hands of a skilled brewer can impart a multitude of different flavors: bitterness, citrus, pine, and even notes of tropical fruit. The hop plant is a vigorous, climbing, herbaceous perennial, usually trained to grow up strings in a trellis system. A field of this unique plant is referred to as a “hop yard.” Under good conditions, hops can easily grow twenty feet in the three to four month-long growing season. 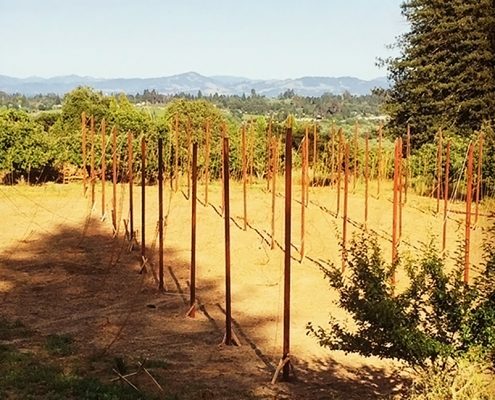 Hops cultivation thrived in Sonoma County from about 1880 to 1960. At that time, an average of 8 bales of dried hops – equivalent to about 5,000 pounds of fresh hops, were produced per acre. The hop plant industry moved north into eastern Oregon, Washington, and Idaho, however, for several reasons. Low-cost land was available with plenty of water. Northern latitudes increased yields. Plant diseases were less likely in the drier climate, and mechanical harvesting allowed large-scale farms to thrive. Today, beer hops for brewing are back and in great demand in Sonoma County, thanks to its thriving craft beer industry. CLICK HERE to learn more about that, courtesy of the University of California Cooperative Extension, UCCE. From big craft breweries that distribute nationwide such as Lagunitas, to smaller breweries with cult followings, including Russian River brewery, Sonoma County offers a wealth of great, local beers. Most American varieties of hops are grown in the Pacific Northwest. Kiln-dried and pelletized, they’re available year-round. A recent trend for craft brewers is the production of “wet hop” or “fresh hop” beers. The hop fruit is harvested in late summer, then taken fresh to the brewery and added immediately to the brew kettle. Akin to the chef using fresh rather than dried culinary herbs, fresh hops open up a new realm of options for brewers of beer. 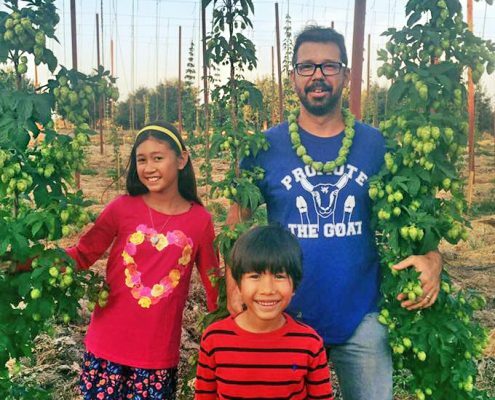 Farm Manager Scott Bice has been known to enjoy a good beer from time to time, so in 2016 when a spot in our fruit orchard opened up, he established our hop yard. Four hop plant varieties were planted in the quarter-acre yard: Columbus, Chinook, Centennial, and Cascade. These varieties are great for providing aromatics to the beer as well as citrus-flavor notes. The hop plants thrived in their first year and produced a small harvest. The bedding material in which they grew, using composted manure form our goat barns, combined into a powerful mulch that retained ground moisture and allowed our plants to thrive. With our initial success, our hop yard will soon expand. We are excited that our fresh hops are in demand from local beer makers for their seasonal brews. In September, we look forward to raising a glass of great local beer after a hard day of work on the farm – beer brewed with Capracopia hops. Cheers!